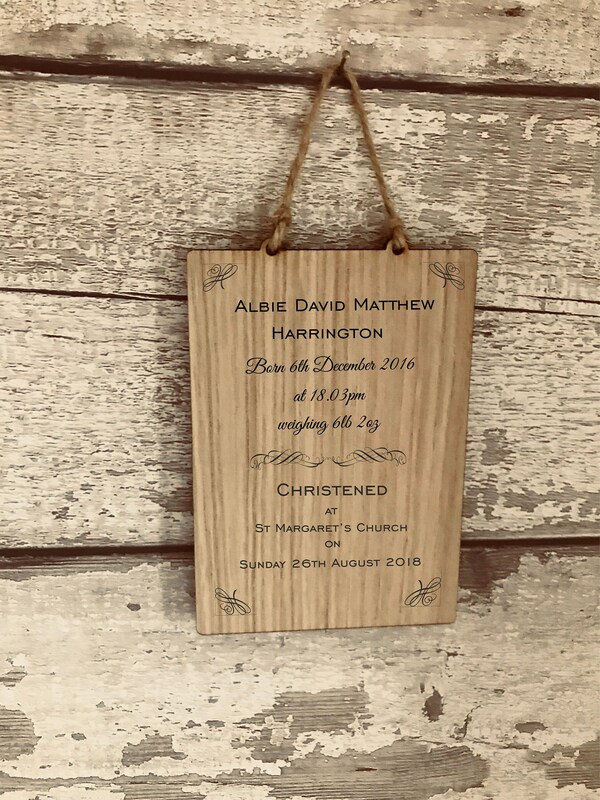 Beautiful Gift, Personalised Christening Plaque, Sign, Gift. Keepsake. 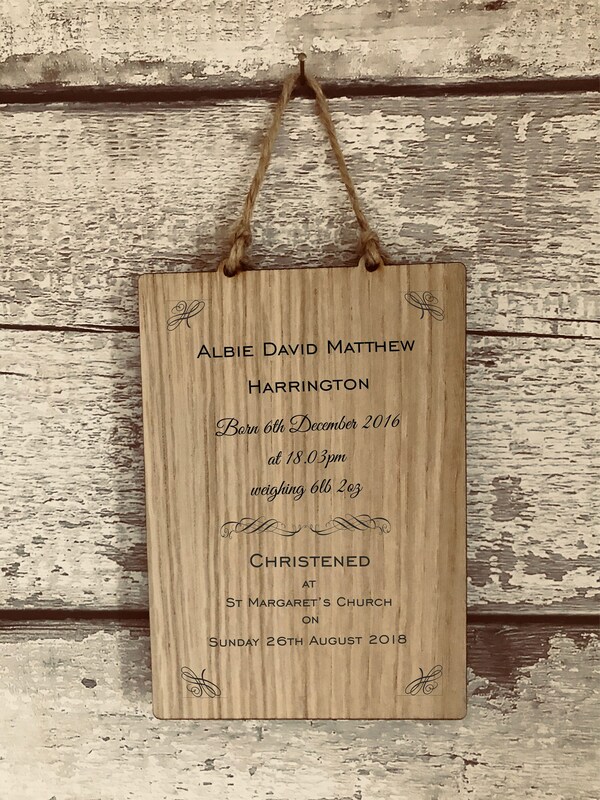 High Quality Engraved Oak. Baptism Naming Day Holy Communion. · Personalised with your own details. 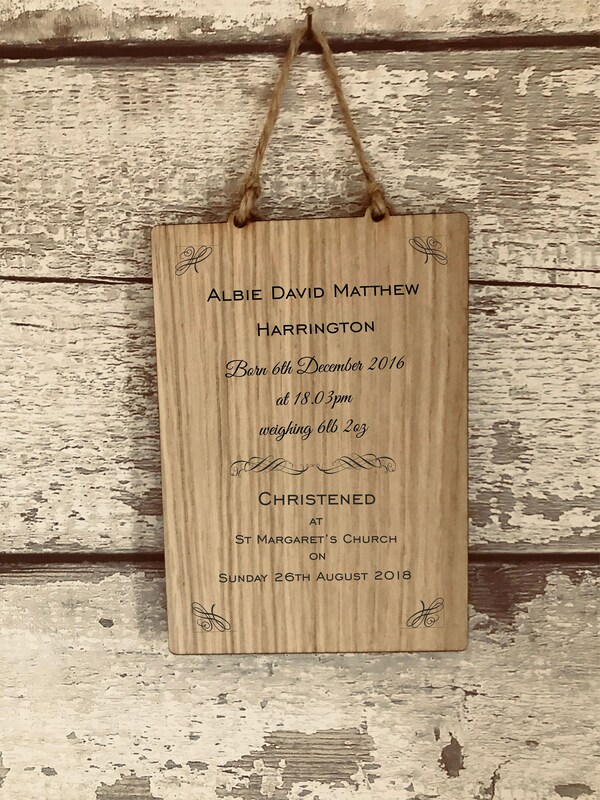 ✦ Please leave details of the engraving you would like.